It was 30 years ago that Sessions was denied a federal judgeship. At the time, he was a 39-year-old US attorney in Alabama. The Senate Judiciary Committee heard testimony during hearings in March and May 1986, that Sessions had made racist remarks and called the NAACP and ACLU "un-American." Thomas Figures, a black assistant US attorney who worked for Sessions, testified that Sessions called him "boy" on multiple occasions and joked about the Ku Klux Klan, saying that he thought Klan members were "OK, until he learned that they smoked marijuana." "I am not a racist, I am not insensitive to blacks. I have supported civil rights activity in my state. I have done my job with integrity, equality, and fairness for all," he told the Senate Judiciary Committee. He said he detested the Klan, and called the assertion that he made those statements "ludicrous." In 2009, Sessions himself told me that "When I got to Washington, there had been an orchestrated campaign to smear my record, and it was executed with great care. And I, frankly, was a babe in the woods and wasn't sufficiently prepared for it." For that reason, when Sessions got to the Senate he has always been more deferential toward nominations than most of his GOP colleagues. For instance, he was one of the only Republican senators to support Eric Holder's nomination for attorney general. Sessions's actual track record certainly doesn't suggest he's a racist. Quite the opposite, in fact. As a U.S. Attorney he filed several cases to desegregate schools in Alabama. And he also prosecuted the head of the state Klan, Henry Francis Hays, for abducting and killing Michael Donald, a black teenager selected at random. 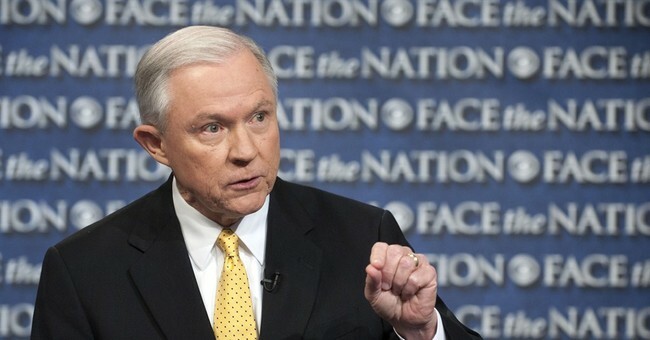 Sessions insisted on the death penalty for Hays. When he was later elected the state Attorney General, Sessions followed through and made sure Hays was executed. The successful prosecution of Hays also led to a $7 million civil judgment against the Klan, effectively breaking the back of the KKK in Alabama. Specter told reporters that out of the 10,000 votes he has cast, he can now recall one that he regrets. Yes, there are still racists in this country, but before we tar and feather someone, let’s see the evidence that isn’t part of the made up, arbitrary, and politically correct criteria of the social justice warrior. Sessions has denied some of the most egregious claims lobbed against him, he’s earned the respect of senators who have come to regret their vote against his 1986 nomination, and he has a track record of fighting racism and promoting equality. Guys, he supported Eric Holder’s nomination. That’s the ball game regarding these allegations that Sessions might be a racist. This is just an utter lack of history or convenient amnesia by the Left, who still can’t believe that Hillary lost to Trump. Get over it.